Launched in 1985, MacUser is a monthly periodical for Apple Mac users in the design arena, bursting with hot-off-the–press news, reviews, walk-throughs and general techy titbits. 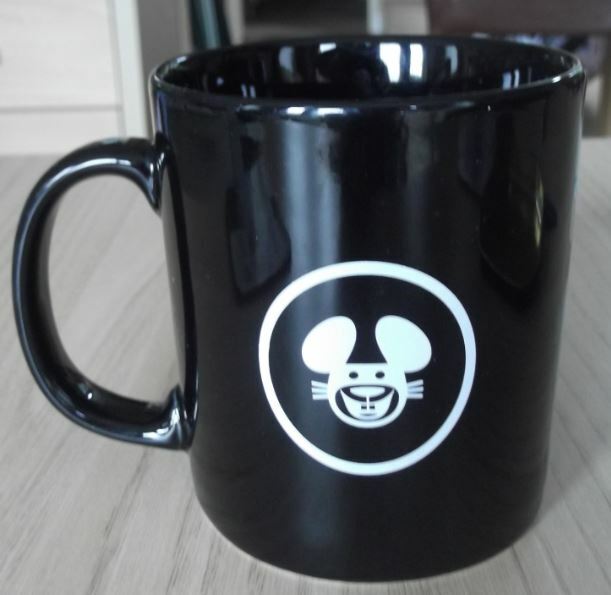 There was doubtless a feature dealing with printing onto Mugs and so this shapely black Cambridge came into being, resplendent with a weird looking ‘mouse’ motif, which is hopefully a pun on the computer peripheral of the same name. I’m guessing this has to be an old mug and probably dates back to circa 2000. Anyway the ‘mouse’ could very soon become a protected species thanks to todays touch screen technology. 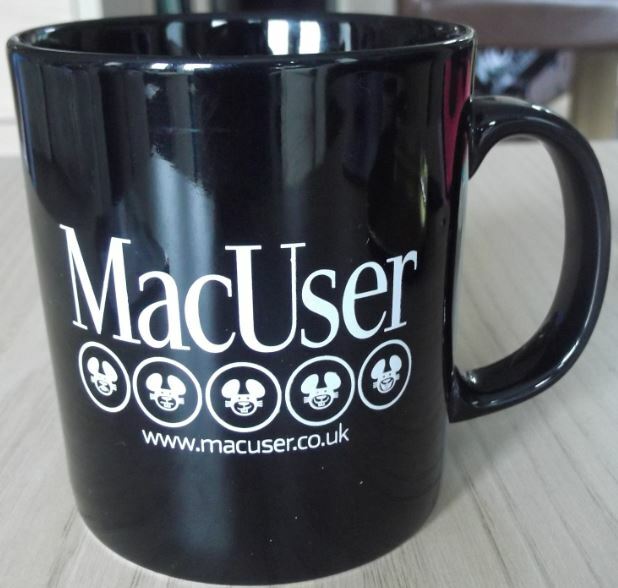 At least Apple haven’t yet brought out the iMug 7: but I have had a sneak preview before it hits the shelves in time for Christmas. It’s an 8gb Mug with a touch screen front elevation but it’s not advisable to touch when filled with hot liquid. – What type of milk to use and tells you when to stop pouring, ensuring you have a perfect “milk to bean” ratio. Basically it can do everything except drink the coffee but doubtless that feature will be added on the iMug 8…..
Start camping out now you suckers!